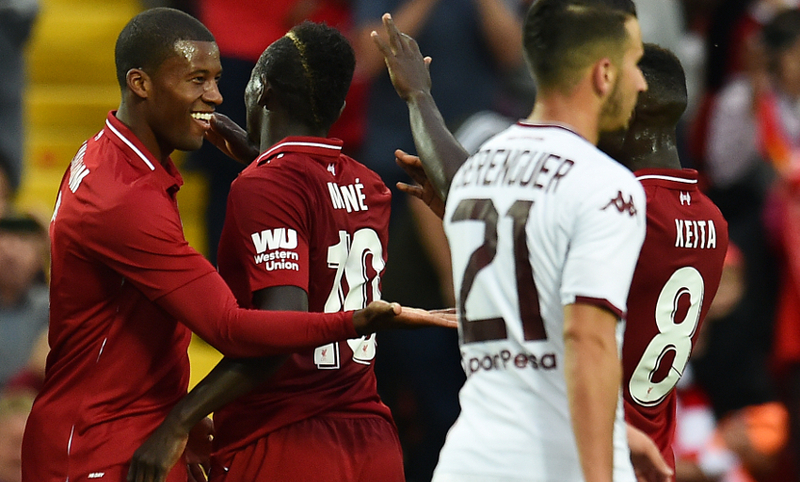 Liverpool completed their pre-season preparations with a 3-1 win over Torino on Tuesday night as new quartet Alisson Becker, Fabinho, Naby Keita and Xherdan Shaqiri all made their Anfield debuts for the Reds. 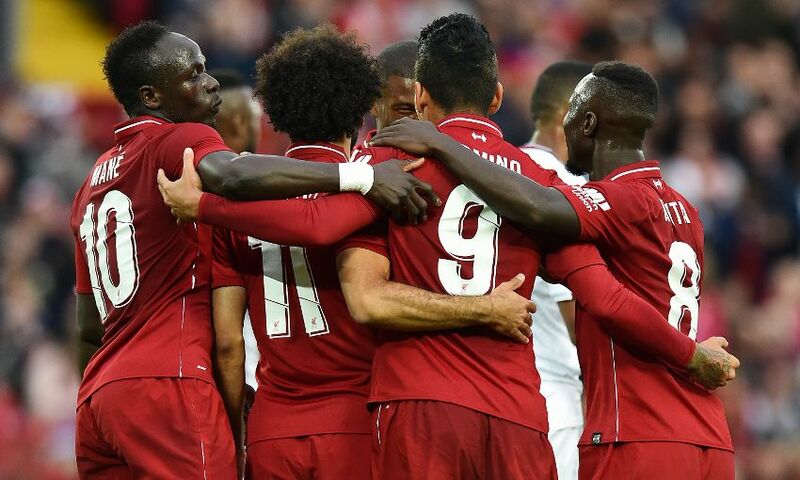 Back on home soil for the first time in almost three months, the hosts treated the fans to an entertaining match as goals from Roberto Firmino, Georginio Wijnaldum and Daniel Sturridge ensured they head into Sunday's Premier League opener against West Ham United on a run of four victories. Italian outfit Torino, who finished ninth in Serie A last season, arrived in L4 with a 100 per cent pre-season record and no goals conceded, but they should have been behind after just 16 minutes. Sadio Mane was buffeted in the box by Il Toro centre-back Gleison Bremer and despite the No.10 commendably staying on his feet, referee Michael Oliver pointed to the spot. Fabinho - penalty-taker supreme during his days at AS Monaco - stepped up to take the spot-kick but dragged his effort low and wide of goalkeeper Salvatore Sirigu's left post. Four minutes later, Firmino gave the Reds the lead their early performance deserved. Latching onto Mohamed Salah's clever through ball from the edge of the box, the Brazilian fired in a shot from 14 yards out that took a looping deflection off wing-back Lorenzo Di Silvestri and nestled in the back of the net. Liverpool continued to swarm forward and on 23 minutes Wijnaldum doubled the lead. Racing through to meet Firmino's defence-splitting pass, the Dutch midfielder produced a calm, low finish to beat Sirigu from the right angle of the box. The visitors rallied and got one back after Di Silvestri deftly controlled a high ball on the right flank and crossed for captain Andrea Belotti to head home from six yards out. With half-time looming, Wijnaldum sprung the offside trap to collect another perfectly-timed pass from Salah but was denied his second goal of the game by a tremendous save from Sirigu. 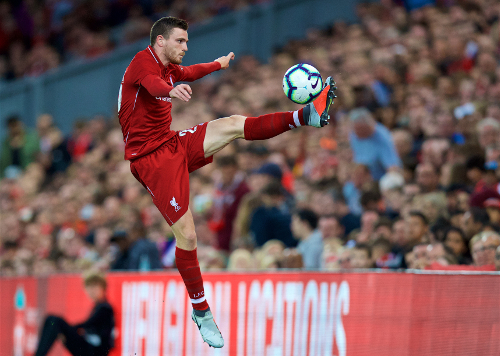 Klopp made seven changes at the break as Shaqiri, Andy Robertson, Marko Grujic, Curtis Jones, Adam Lallana, Sturridge and Danny Ings entered the fray. It took just five minutes for the latter to get his first sight of goal. Some fancy footwork and a neat pass from strike partner Sturridge set him up, but the Englishman fired his shot wide of the far post. Sturridge brought another good save out of Sirigu just short of the hour mark when the No.15 bamboozled Torino centre-back Nicolas Nkoulou in the box and stung the hands of the goalkeeper with a snap-shot. Then it was Ings' turn to test the Torino stopper, who once again denied the Reds, although this time he was indebted to his defence for clearing off the line after making only a partial save. Despite the chances, Liverpool struggled to match the fluency of the first half but the Anfield crowd were in full voice on 70 minutes when Jordan Henderson came on for his first appearance since reaching the World Cup semi-finals with England. And that cheer was matched when Loris Karius replaced Alisson between the posts for the final 15 minutes at Anfield. 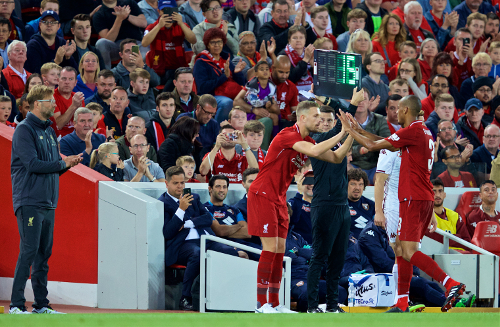 With three minutes to go, Sturridge added the final flourish when he headed home from Shaqiri's wonderfully floated cross from the right to notch his sixth goal in pre-season.